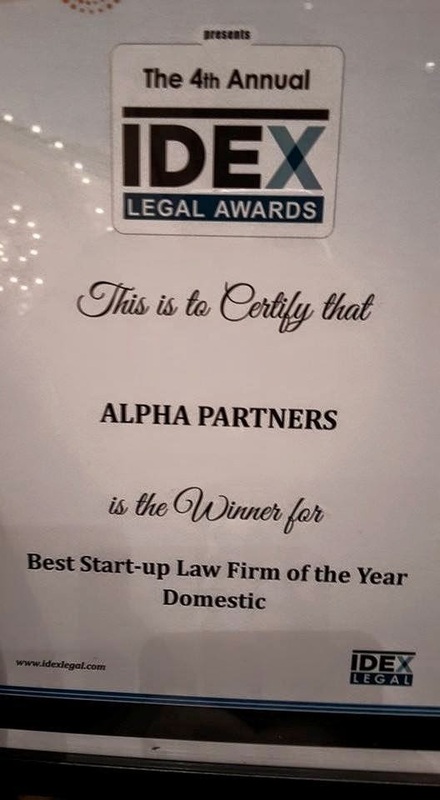 Alpha Partners is proud to be awarded the IDEX Best Start Up Law Firm of the Year 2015 India. 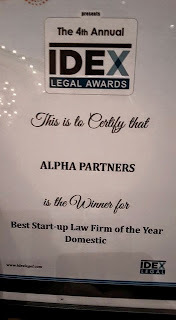 The IDEX LEGAL AWARDS were created in 2011 by The Ideas Exchange, to acknowledge and celebrate excellence amongst In-House Counsel andLaw Firms. 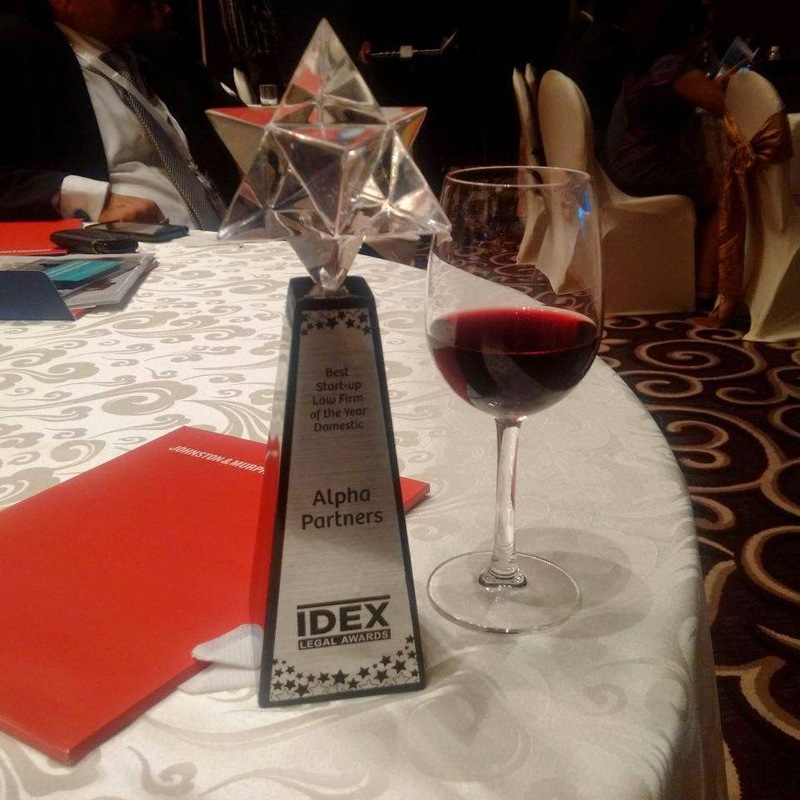 Over the years, various renowned Indian and international law firms and corporate in-house legal teams have participated in the awards process, including but not limited to Bird & Bird, AZB & Partners, Mayer Brown, Siemens, Wockhardt and more. "This is an exciting milestone for us, and we hope to accomplish more of such accolades in the near future with the support of our clients and well wishers," said Mr. Akshat Pande, Co-Founding Partner of Alpha Partners. Some pictures of the event are attached.